Missouri family courts not only have jurisdiction to enter custody orders for children in actions of divorce and paternity, but they will also decide the manner in which these children will be supported financially. The establishment, modification and enforcement of child support orders are the primary tools used by Missouri family law attorneys to assist clients in financially supporting their children. The duty to support a child is shared by both parents in Missouri. However, a Court or the Division of Family Services can enter a specific child support order. The amount of child support paid by one parent to another in Missouri is established by Supreme Court rule (88.01) and is a formula that is based upon many factors including the monthly gross income of both parents, the number of children in need of support, the cost of the minor children’s health insurance and the custody arrangement of the children. This formula and the use of the Form 14 has undergone some changes which are effective July 1, 2017. To explore more information on this change and how it may impact you visit our blog at stcharlesdivorcelawyerblog.com. The payment of child support from one parent to another can be done through many methods. The payment can be made directly from one parent to another by cash, check or money order. It can also be taken directly from the paying parent’s wages by a voluntary wage withholding or by garnishment. In Orders entered in Missouri Family Court, the receiving parent has the right to receive child support through a wage withholding on the paying parents wages unless the Court specifies otherwise. Missouri family law attorneys and parents can also the Family Support Payment Center to keep track of the child support payments. The Family Support Payment Center is located in Jefferson City, Missouri and its primary function is to process child support payments made through their office, to disperse those payments to the receiving parent and to keep track of all payments made and any sums that are due from one parent to the other. Modifications or changes to an existing child support order can be accomplished through court upon a showing of a continuing change in circumstances which make the existing child support order unreasonable. These changes in circumstances typically involve a change in the income of one or both parents, the change in the custody of a child, the emancipation of a child or a significant change to the cost of health insurance coverage or child care. Are You Considering Filing for Divorce or Pursuing a Legal Separation? Child support is a financial contribution towards the support of one’s child. The Attorneys at the Bellon Law Group can assist you with all legal aspects of establishing, modifying and enforcing your child support order. 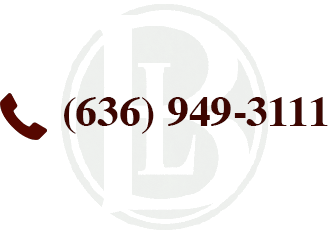 If you have questions about divorce, grounds for divorce, child custody, or issues about a Missouri child support orders, contact the attorneys at the Bellon Law Group today to schedule a free consultation to discuss your situation.